Free download. 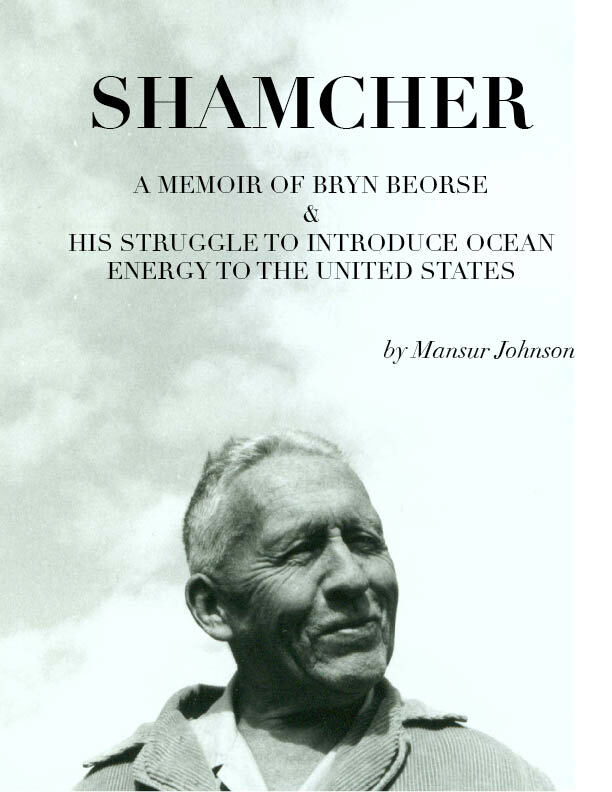 Mansur Johnson’s book titled: Shamcher: A Memoir of Bryn Beorse and his Struggle to Introduce Ocean Energy to the United States is now available as a pdf. A must-read for anyone interested in the efforts in the 70s to bring OTEC forward. Featuring correspondence excerpts from many of the people involved in this effort, this 135-page pdf book is a “who’s who” and a “what’s what” of OTEC development. Covering his work with Shamcher to try to bring OTEC to the attention of the US government, in particular the Department of Energy, Mansur has documented much of the correspondence and context of this effort, and is now offering this book free of charge. Also available from Mansur’s website: Murshid: A Personal Memoir of Life with American Sufi Samuel L. Lewis.